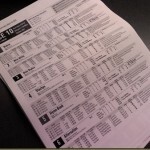 For the past 30 years, the name of bookmakers William Hill appeared on some general election and by-election ballot papers, the only commercial company to do so. But no more. It hasn’t taken a Royal Commission or a three-line clause slipped into an obscure piece of legislation to bring the change about. 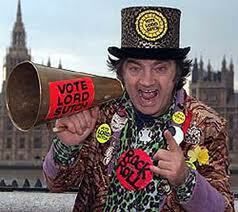 It has happened because Hills has ended its association with the Official Monster Raving Loony Party. That had been born out of a long-term friendship between Graham Sharpe, media relations director for Hills, and leader of the OMLRP, Screaming Lord Sutch, who died in 1999. Hills contributed to the party by allowing election candidates to win back their £500 deposit by betting on the number of votes they would gain. In one of those delightful serendipities, Alan Hope, who became the party’s second leader following the death of Sutch, also won back his deposit in the recent Eastleigh by-election. Sharpe said that the association with the OMLRP had served his company well, helping it promote a range of political bets, but it was now time to take its political PR approach in a different direction. It would be a great shame if this meant the OMLRP were unable to continue to operate, as its thinking was often ahead of its time. It championed all day opening of pubs, commercial radio and pet passports long before they surfaced in the deliberations of mainstream parties.